Soooooo…guess who’s in the running to cover the Food & Wine Festival in Ixtapa Zihuatanejo Mexico? Um, yeah. The Cuisinerd is ready to go south of the boarder and cover all things new and exciting in the world of drink and eats in Mexico. Here’s where I need your help: PLEASE VOTE! It’s easy, it’s on Facebook and I know you already have that website open in another tab…right? So be a lovely and help a girl out. You can vote once a day ALL WEEK LONG! Put that voting finger to work and I promise to bring you the latest tastes from Ixtapa Zihuatanejo via tweets, blog-age, Facebook posts and carrier pigeons. Okay maybe not that last part, but you get it…if you’ve been around here before, you also know how obsessed I am with this culture’s food. It’s a match made in cielo. 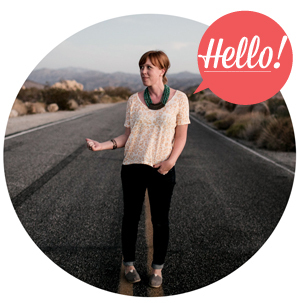 This is a very exciting opportunity and I appreciate all of your help. Seriously, from deep deep down. Big kisses and fingers crossed! Thank you! Voting open until Feb 20th right here. Love this video! I hope you win! 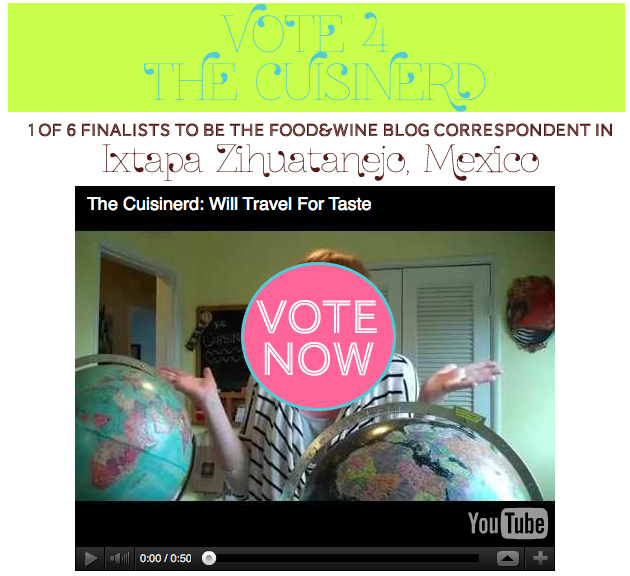 Voting for you to travel for taste! I voted as often as I could for you Kristen, I hope you get to go!